Tell us this isn't more exciting than zombies. Just try. You can't even do it. ...You know what? Scratch that. 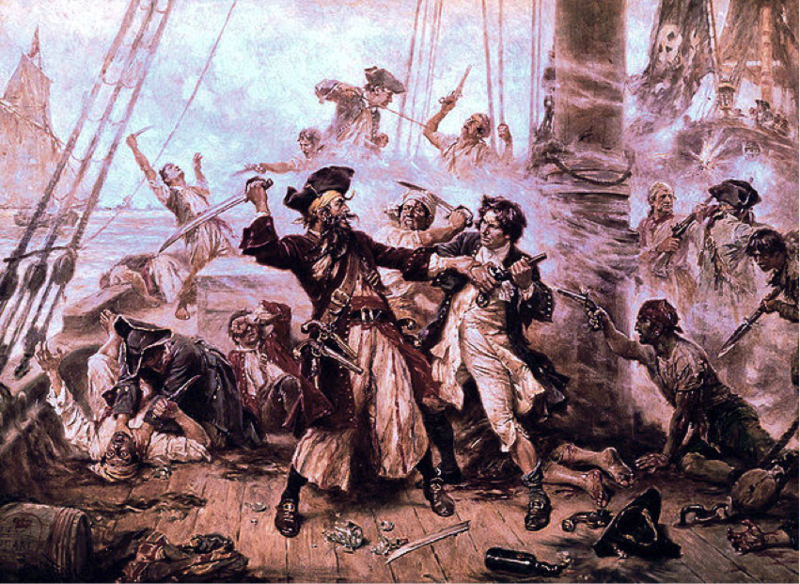 We can get back to our pirate zombie story later. This course is supposed to be about you and your feelings. Specifically, it's about your feelings about grammar, so we think you should tell us a story. We only need a short, simple one, please. You only need to give us a few paragraphs, but we're going to need it to contain the conditional and subjunctive moods, ellipses and proper comma uses in order to differentiate dependent and independent clauses, and we're really going to need you to show us how to properly shift verbal moods. Got all that? Okay, go! We're just kidding, of course, but here's a little message from the very near future: grammar is your friend, and you've got this. The assignment above might look like gibberish at this moment, but we checked our crystal ball and, when you see it again in Lesson 12, it'll be child's play. But not in a scary way like the old horror movie of the same name that gave us nightmares and was responsible for many an embarrassing bed-wetting incident. Grammar isn't scary like that. So yes, we want you to tell us a story, but not quite yet. First we're going to drop some knowledge on you like snowflakes at ski resort in January, which is to say, joyously and abundantly. Consider the next eleven lessons to be your training montage, running you up and down the museum steps before your big match in Lesson 12. But this training won't involve push-ups or getting punched in the stomach, so it's way better. Participles, gerunds, and infinitives are all verbals, meaning they look and sound like verbs, but do other non-verby things, like act as nouns. Active voice is what happens you speak forcefully and the subject does the action, like "Shmoop speaks student." It's our favorite voice. Passive voice is what happens when "Student is Spoken by Shmoop," which is awkward and mostly not ever what we want. Verbs have lots of moods, and sullen isn't one of them. We can choose from indicative, imperative, interrogative, conditional, or subjunctive. The conditional mood expresses an action that may or may not happen and is marked by the words could, would, or might. It's the bargaining mood, like how we get when we watch too much Pawn Stars. Skee-Lo was wrong and, actually, it's supposed to be "I wish I were a baller," because that's the subjunctive mood, yo. The subjunctive expresses things that are currently not true, or wishes...like that of being a baller when one is not. Verb voices and moods in sentences have to be consistent or people get confused and frightened because they don't know what's happening, or when, or why. Choosing between active and passive voice or subjunctive or conditional moods is up to you. It's all about the type of thought you are trying to convey, but you do still have to follow a few rules we put in place to keep things from getting all crazy. Commas do not go "where you pause in conversation," but ellipses can. If you get distracted while writing and have extra thoughts inside other thoughts, you can set them off with parentheses or their more dramatic cousins, the dashes. debate between active and passive voice. use the imperative mood appropriately. use the indicative mood appropriately. use the interrogative mood appropriately. use the conditional mood appropriately. use the subjunctive mood appropriately. debate between mood usages and choose the one with the best reason for it. keep mood and voice consistent where needed. enclose parenthetical thoughts with parentheses or dashes. use the comma, the ellipsis, or the dash to indicate a pause. use the ellipsis to indicate a trailing or dangling thought. distinguish between times when a comma is mandatory and optional. @ Copyright Ms. Jennise Conley. All rights reserved.